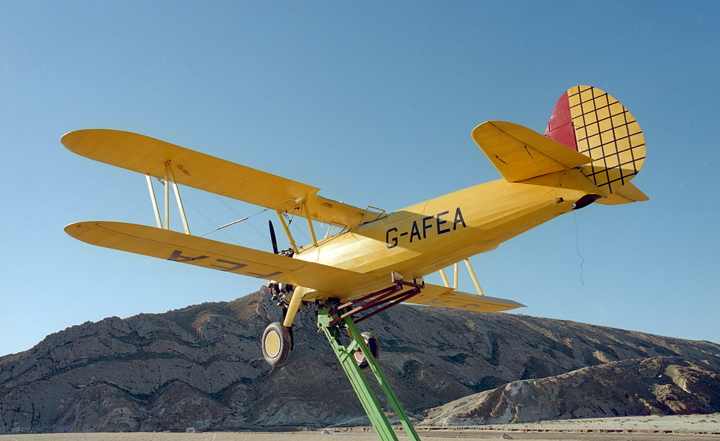 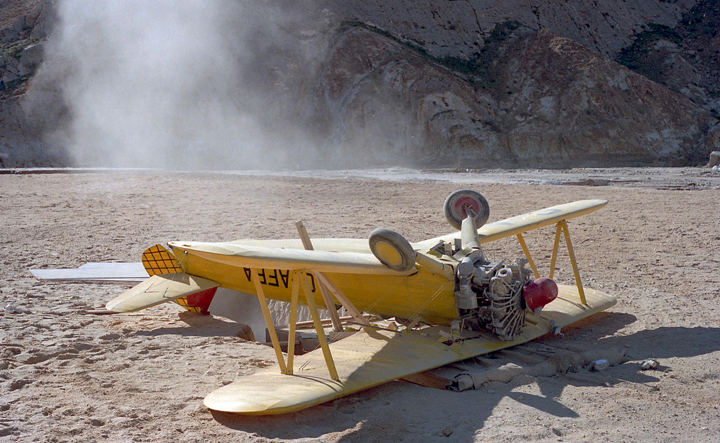 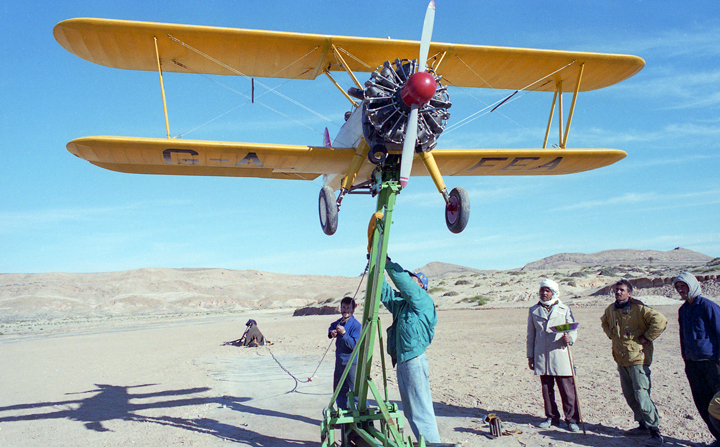 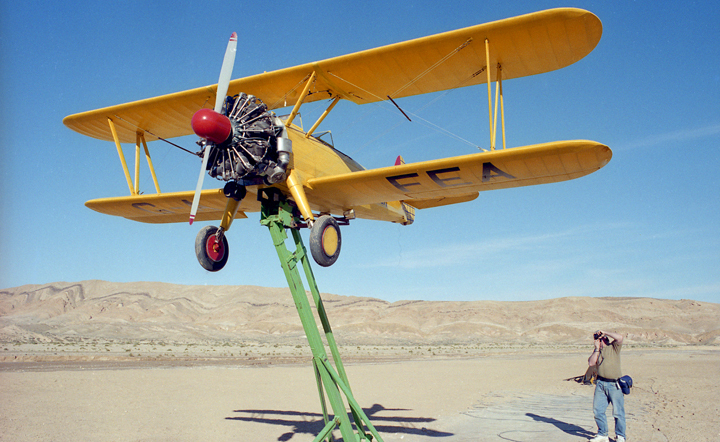 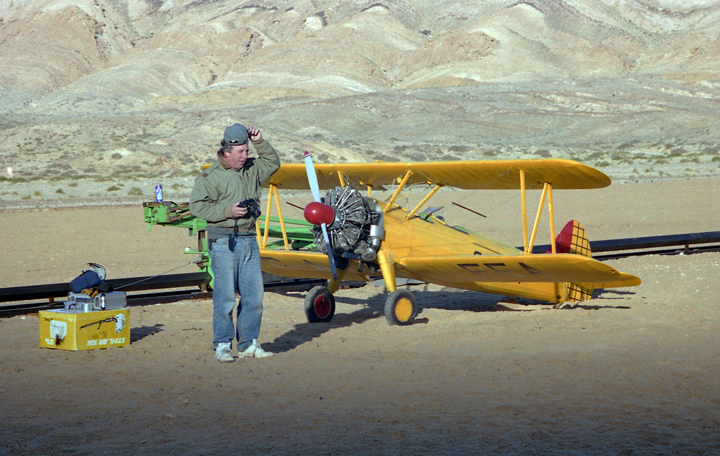 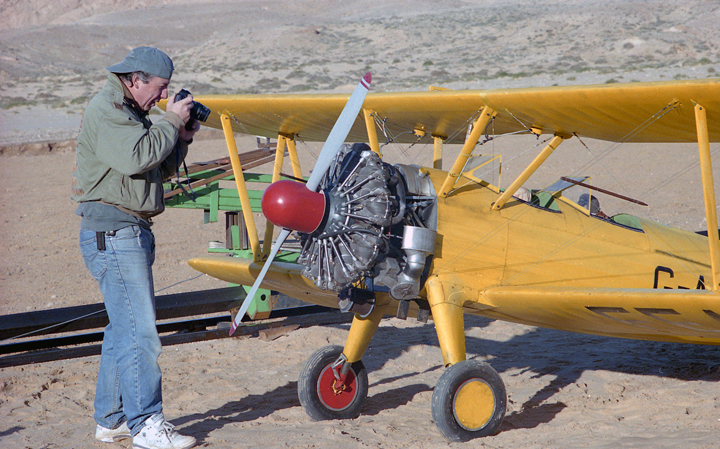 The track provides the inertia for the Stearman and the engine gives the plane that extra push when it is released from the rig, Terry had a radio controlled box that crashes it to the ground towards the camera. 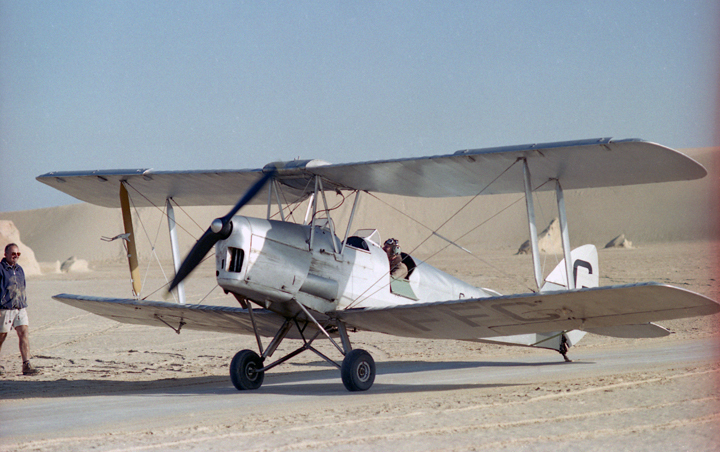 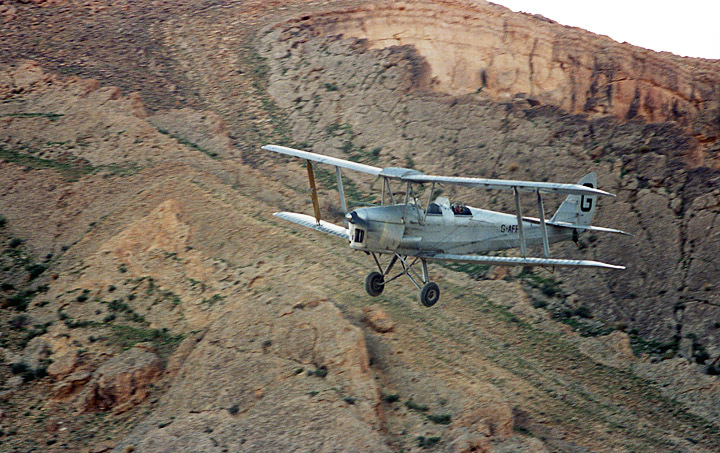 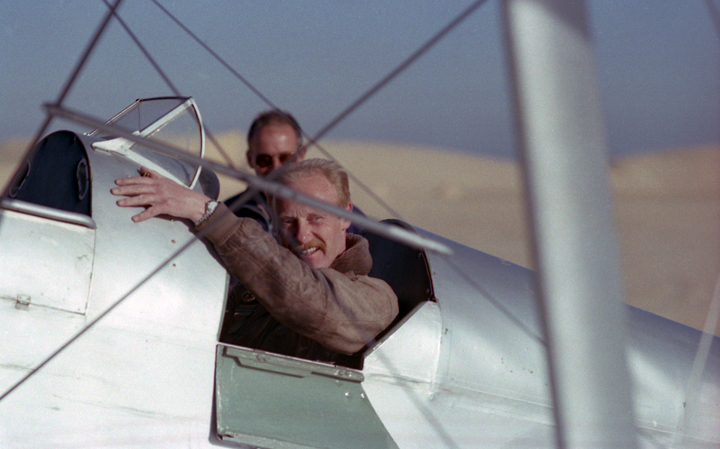 Madox's Tiger Moth pilot Clive Watson, Richard Conway in the background. 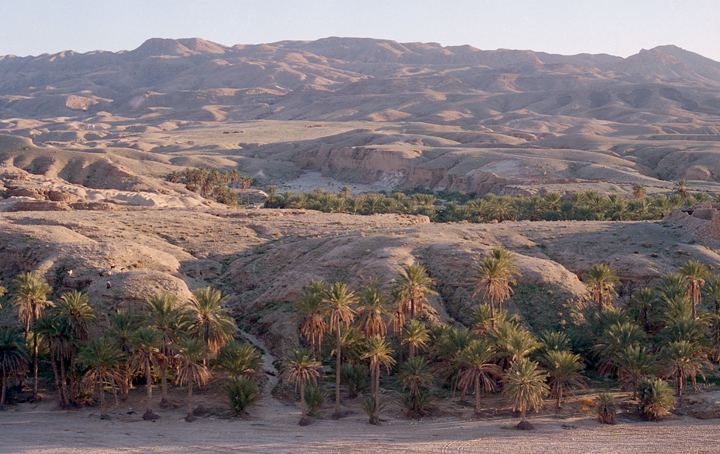 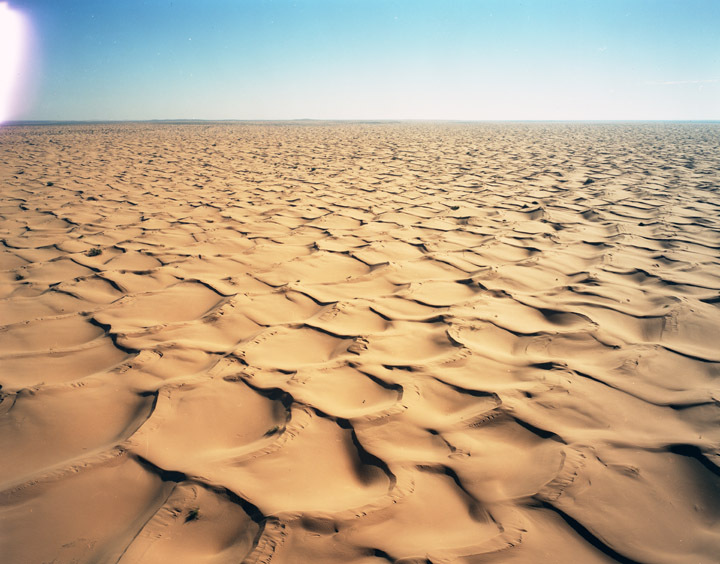 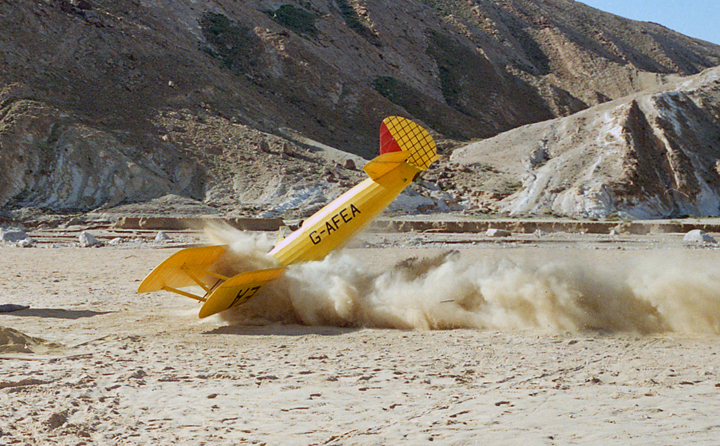 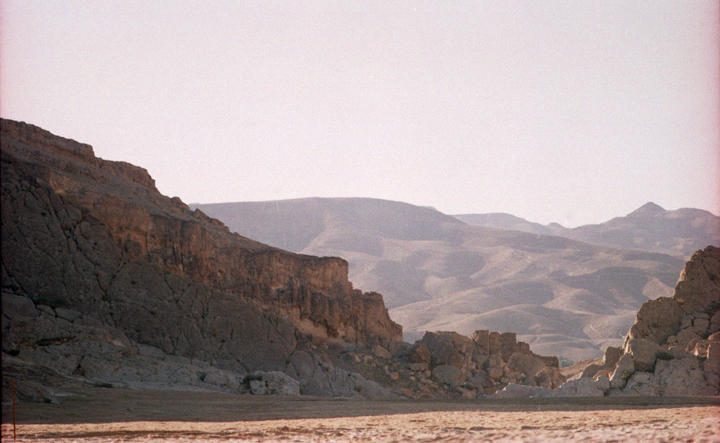 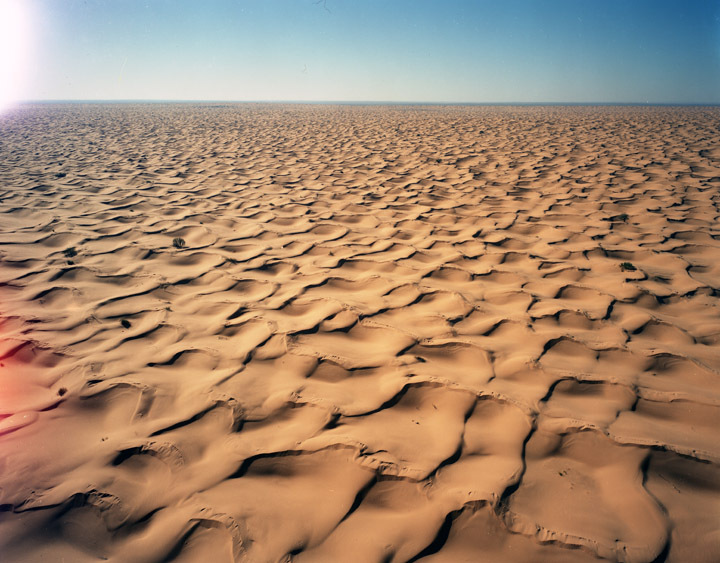 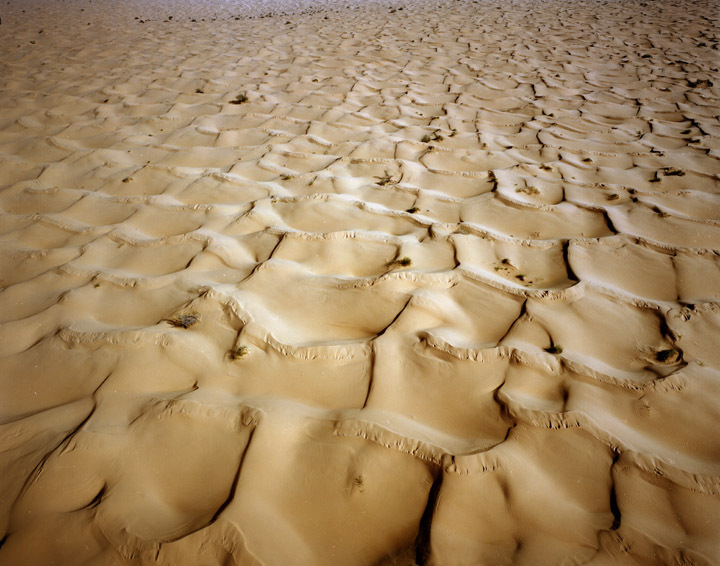 I photographed the Tunisian Desert in a helicopter at approx 700 feet with my 4x5" plate camera with a view to creating a large CGI envoirnment later at Digital Film, London for the flaming parachute sequence but the section was cut from the film.